Leapfrog Sort & Spin Turtle by Vtech. Compare Prices and Buy at toys4xmas | toys4xmas | Compare Prices and Buy Here. 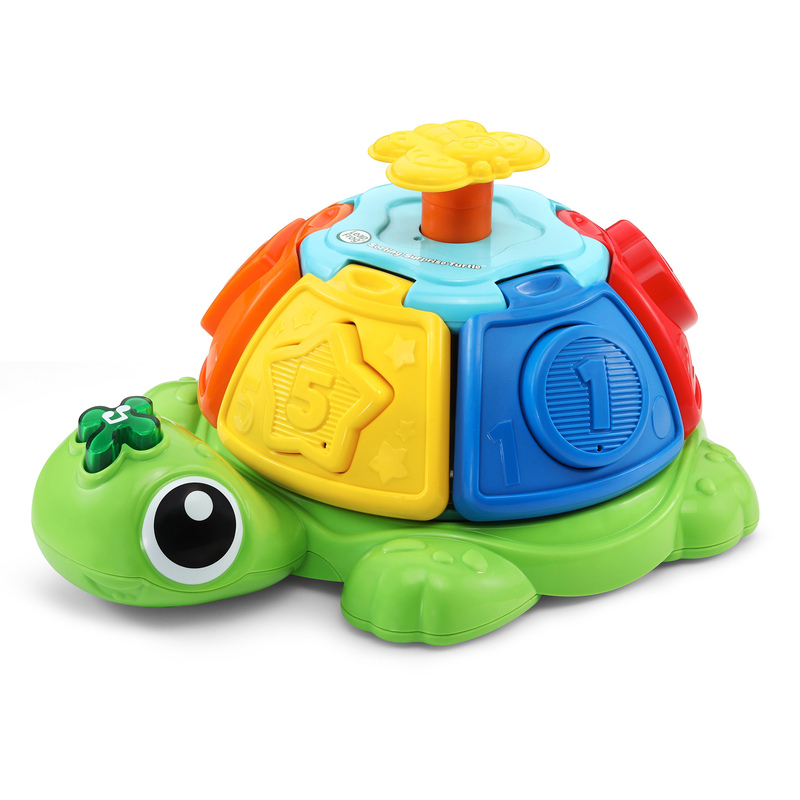 Learn about shapes, colours and numbers with the LeapFrog Sort & Spin Turtle. Match the brightly coloured shape blocks to the correct holes in the adorable turtle?s shell and it will say the name of the shape, its colour or the number on the block. When all of the shapes are inside, press the butterfly button on the turtle?s back and watch the pieces fly out while hearing music and learning rhymes. Press the light-up flower button on top of the turtle?s head to hear three learning songs. Enjoy this new spin on learning!Requires 2 x AA batteries (included).